The APA League Awareness program was designed to increase the awareness of APA League Activity in all APA Hosting Locations. When someone walks into a tavern, 90% of the time, they are unaware that the location offers APA League Activity. Our goal is to make everyone who walks through your door aware that you are a participating APA Host Location and would welcome them back (on a regular basis) as a League customer. The main responsibility of your bar staff is to serve the customer, not convert them into League customers... that’s our job ... and we now have a way to do just that. APA Pool Table Lights will let your customers know that League Play is available in your location ... and our website address and phone number (on the end panels) will let them know who to contact (24/7) for more information. 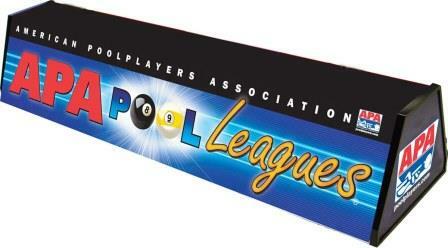 Our goal over the next 12-24 months is to make APA Pool Table Lights available for every Pool Table in the Nation! League Operators in some areas are selling the lights to the hosting facilities at cost; others are splitting the cost with the hosting facilities; in my area ... I am incurring 100% of the cost myself and providing the lights for FREE to all Hosting Locations that host at least 2 APA teams in their facility. Thank you for your continued loyalty and dedication to our local APA Program. If you host at least 2 APA teams you will receive a light for your tavern. Taverns with multiple tables will be allocated one light per pool table (up to a maximum of 8 lights) as long as they are hosting an average of 3 teams per pool table. 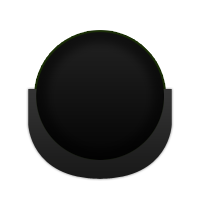 If you host less than 2 APA teams (or have multiple pool tables and average less than 3 teams per table) you can still get lights for all your tables! You may advance purchase additional light(s) at my cost of $175, and once you reach the required number of teams (per the attached allocation chart), I will refund your entire purchase price! To place your order for APA Pool Table Lights please call Melissa Byrd at (410) 255-5400 Ext. 112 or email him at melissab@apapool.com.